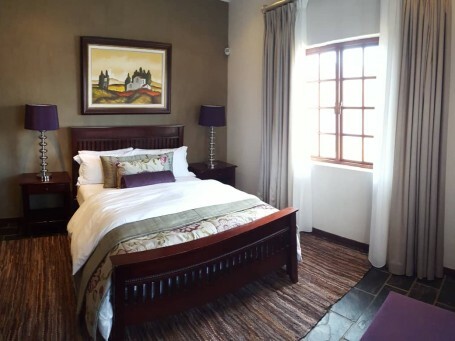 Ambassador Lodge is an exquisite 4 star rated self-catering lodge. 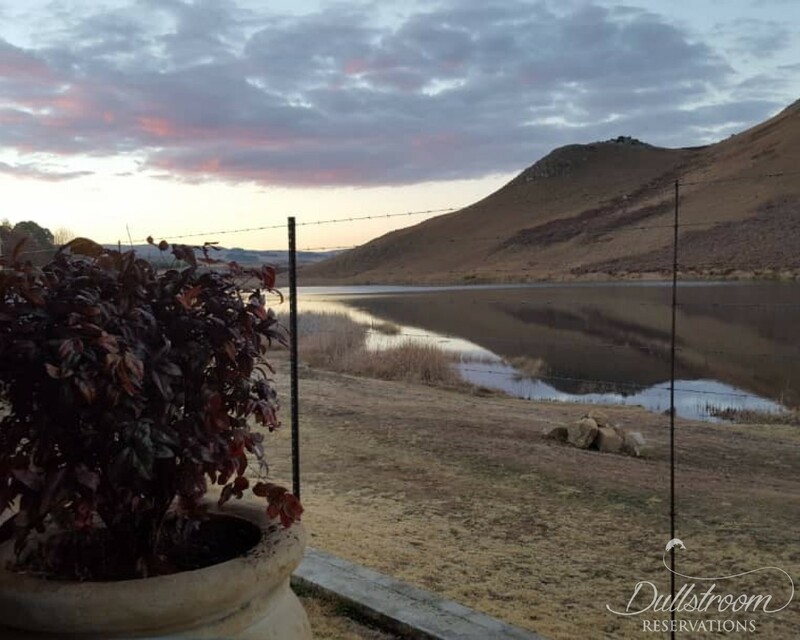 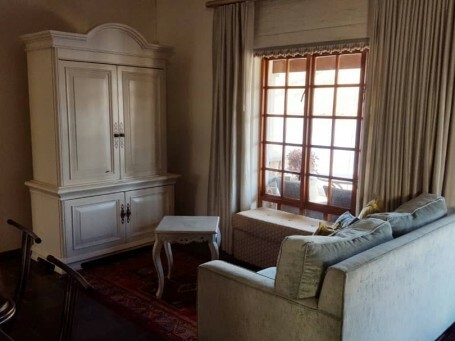 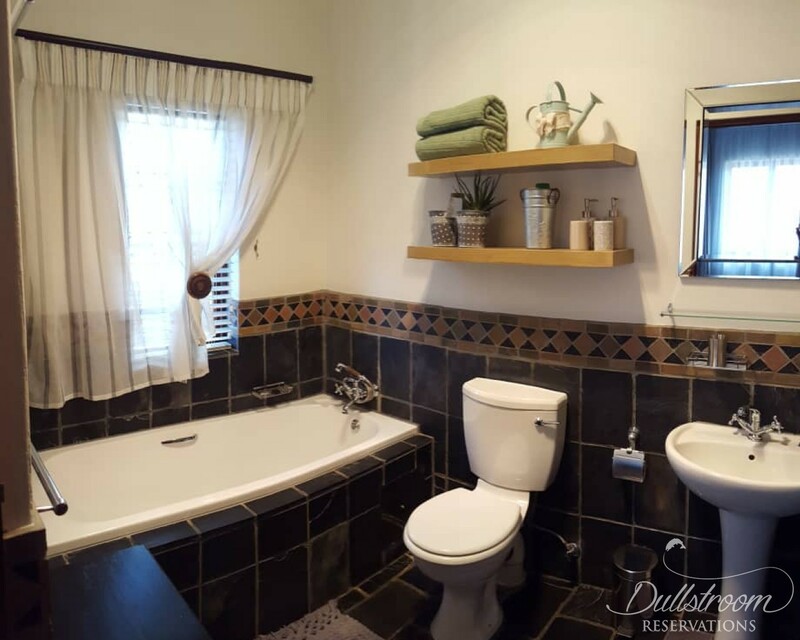 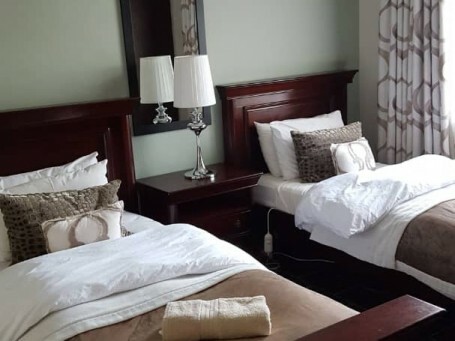 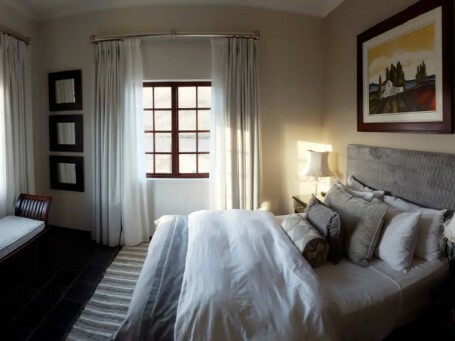 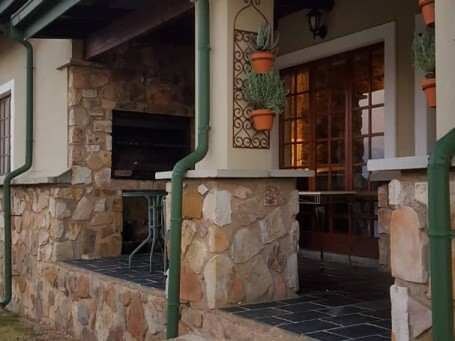 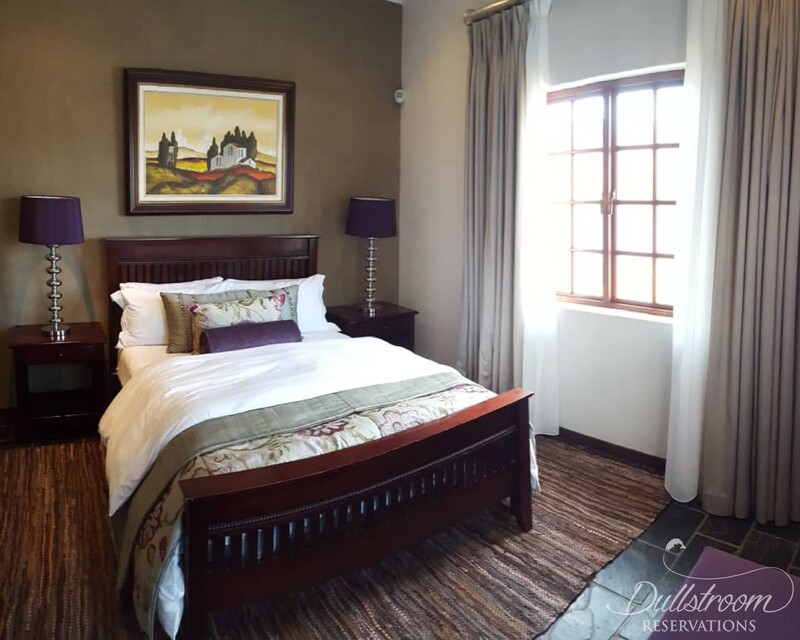 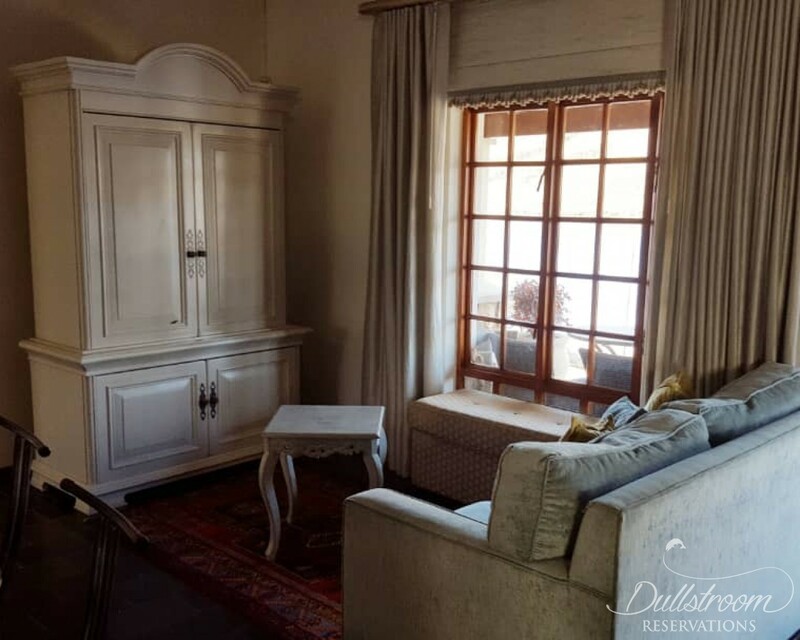 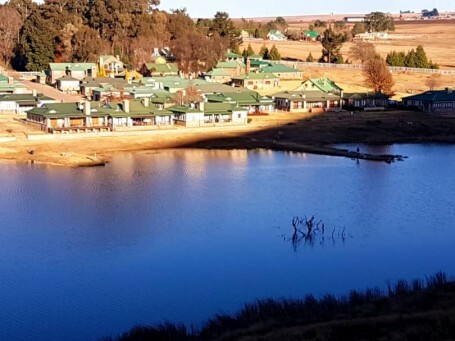 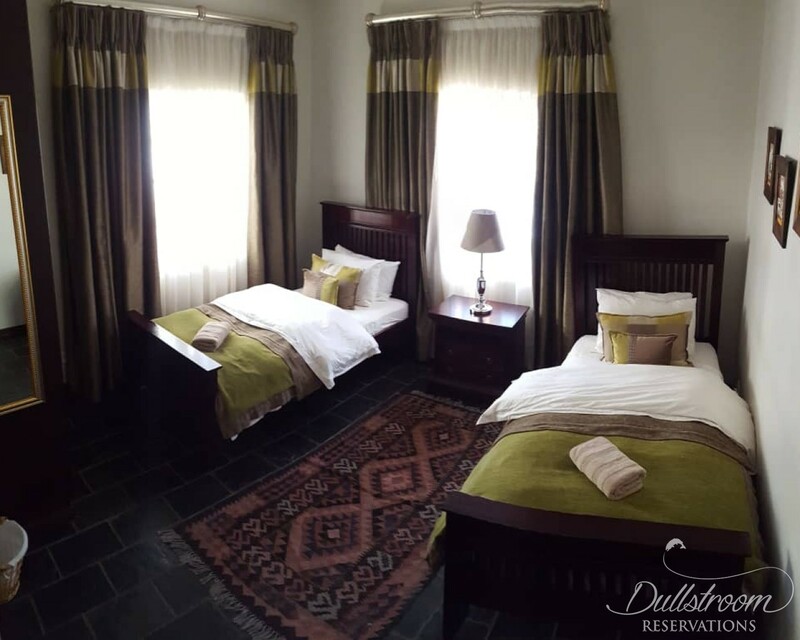 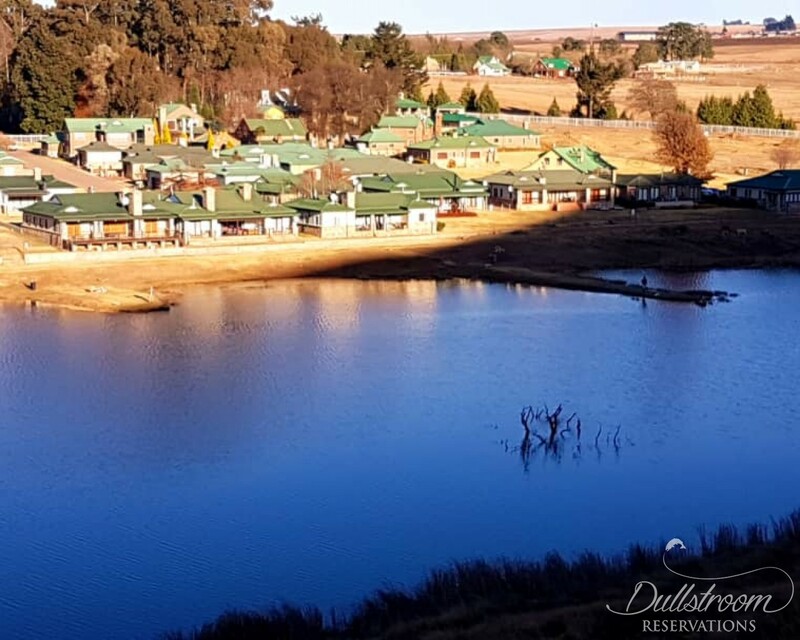 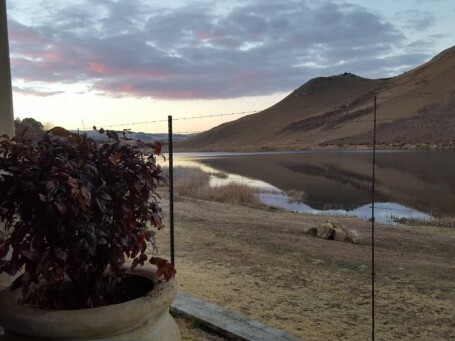 It is situated in the popular Oaklane Estate with panoramic views of Dullstroom's Suikerboschkop, dams and Nature Reserve from a prime position. 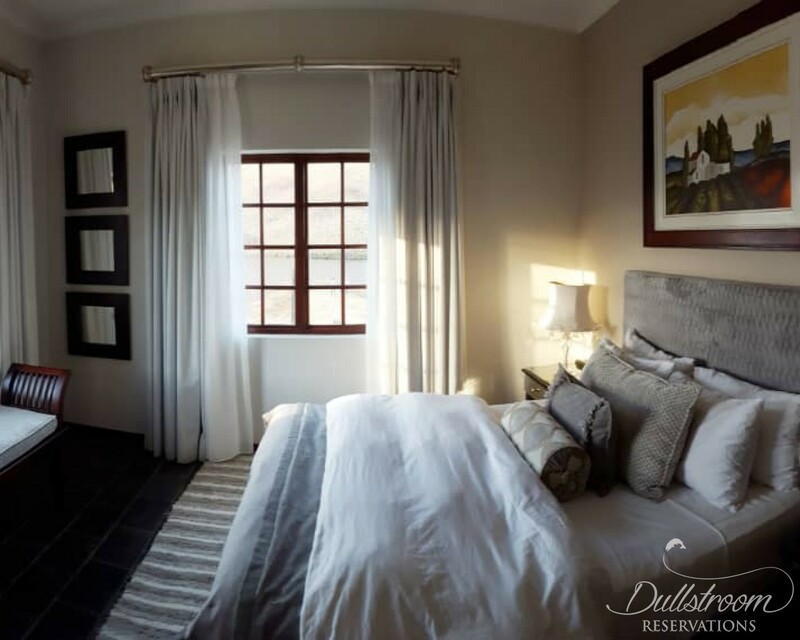 It is the ideal home away from home that caters for all your needs: fishing, hiking, mountain biking, birding, shopping and culinary experiences - all within 15 minutes walking distance. 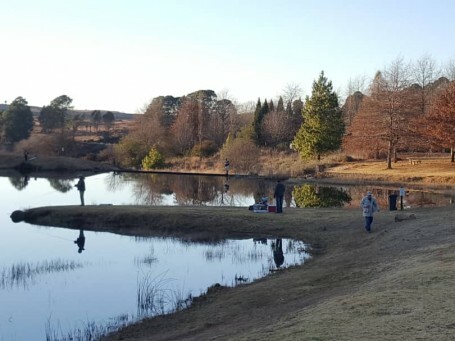 Enjoy a round of golf at the popular Highland Gate Golf Club which is 15 minutes' drive from Dullstroom. The lodge has 4 beautifully decorated en-suite bedrooms. Two bedrooms have double beds and are dam-facing. 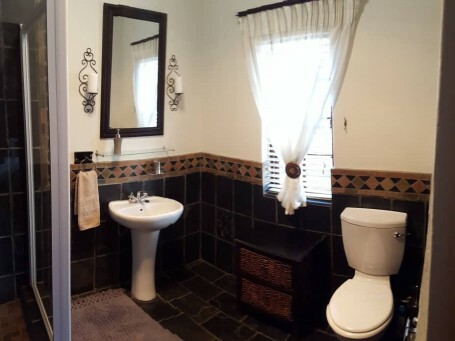 The bathrooms are equipped with built-in baths. The two twin bedrooms each have an en suite washroom equipped with a shower. 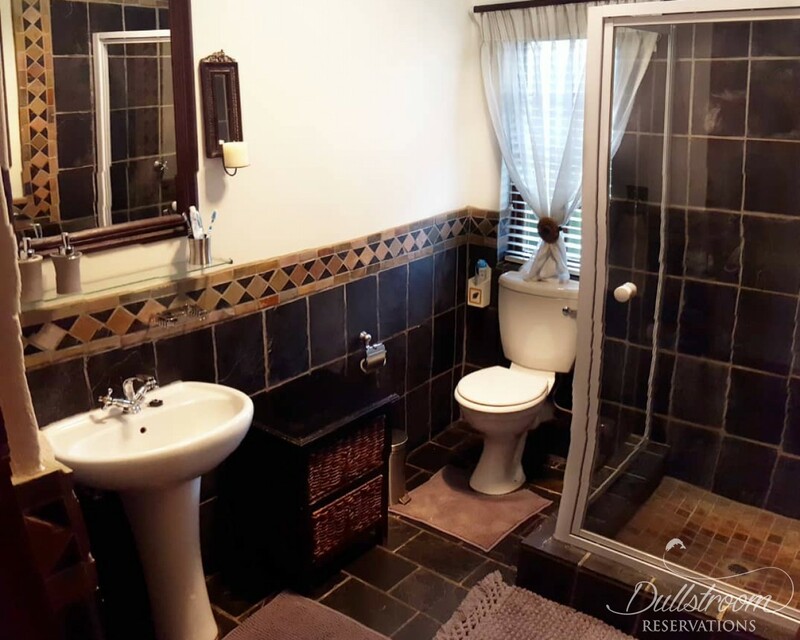 All bathrooms have infrared heating. 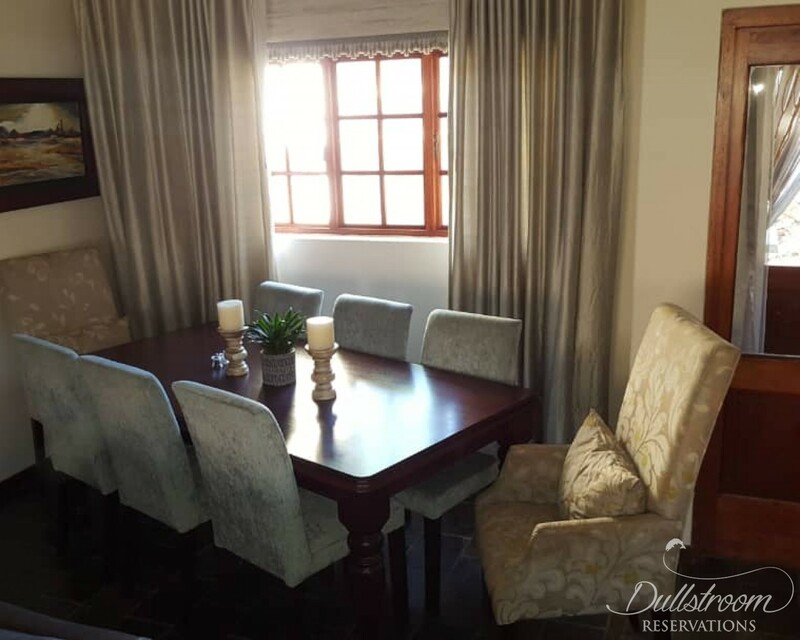 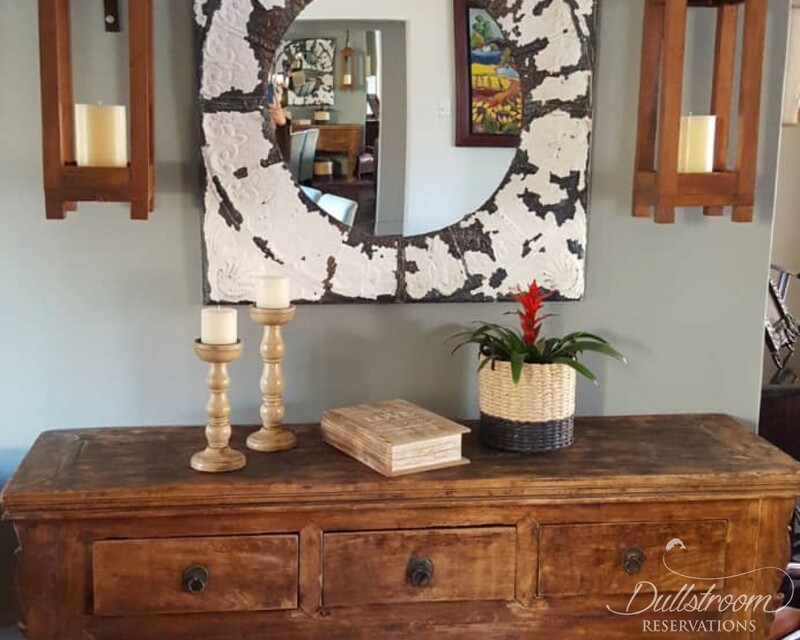 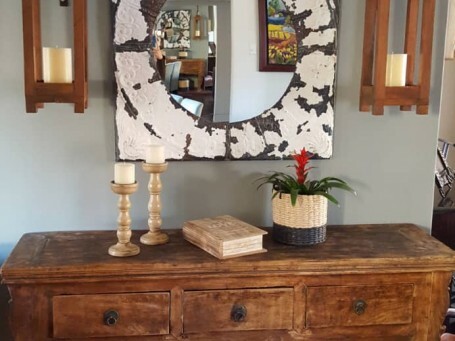 The stylishly decorated open plan lounge, dining room and farmhouse style kitchen, make for elegant relaxation and entertainment for families or groups of up to eight. 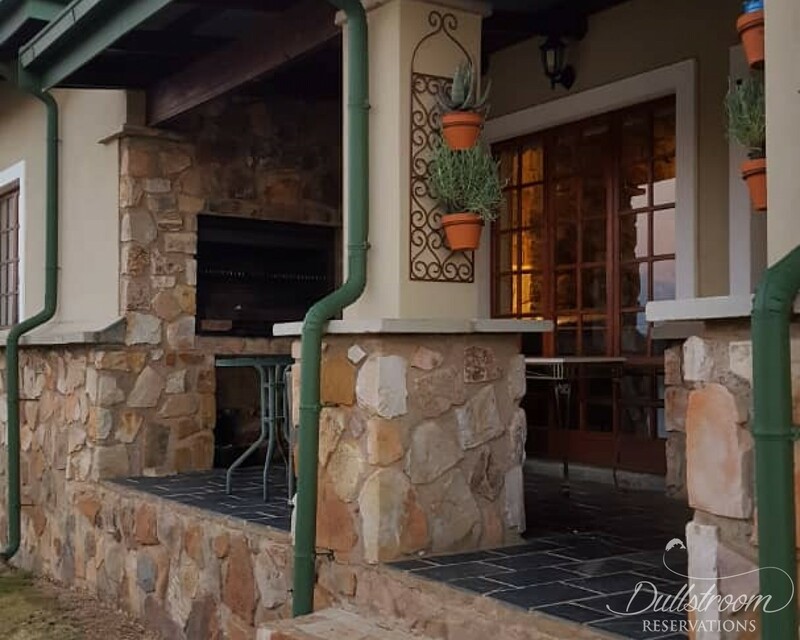 The newly installed Infinity slow burning wood stove provides excellent heating and adds to the warm atmosphere in the lodge. 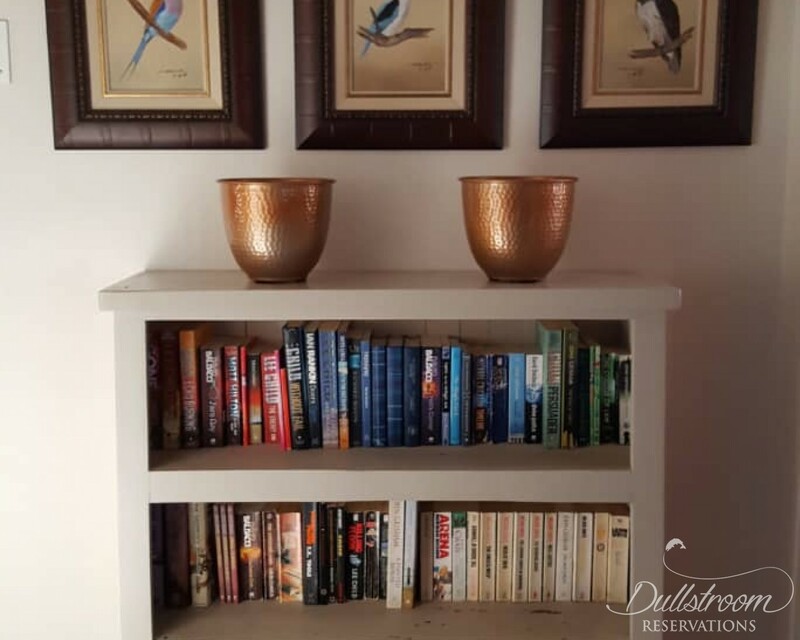 A flat screen television with full DSTV bouquet is available in the lounge. 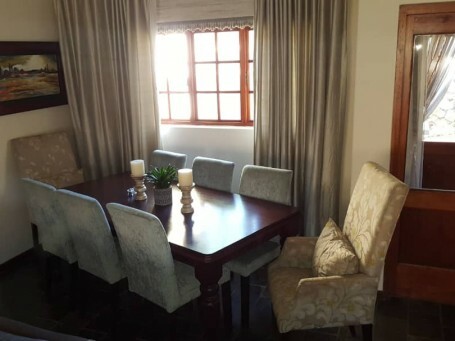 The kitchen is equipped with everything you need for easy catering. 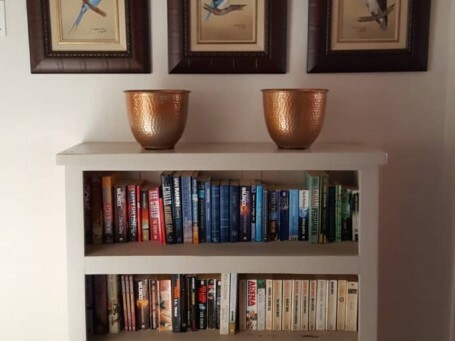 Bring your favorite capsules to make coffee with the available Nespresso coffee machine. 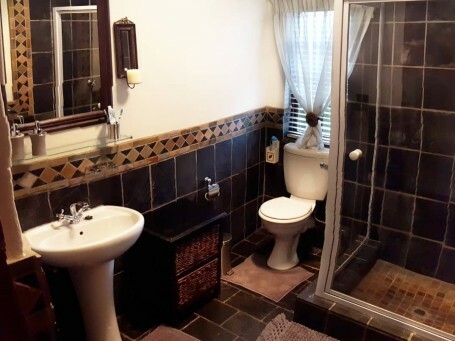 It also offers a dishwasher, microwave and washing machine. 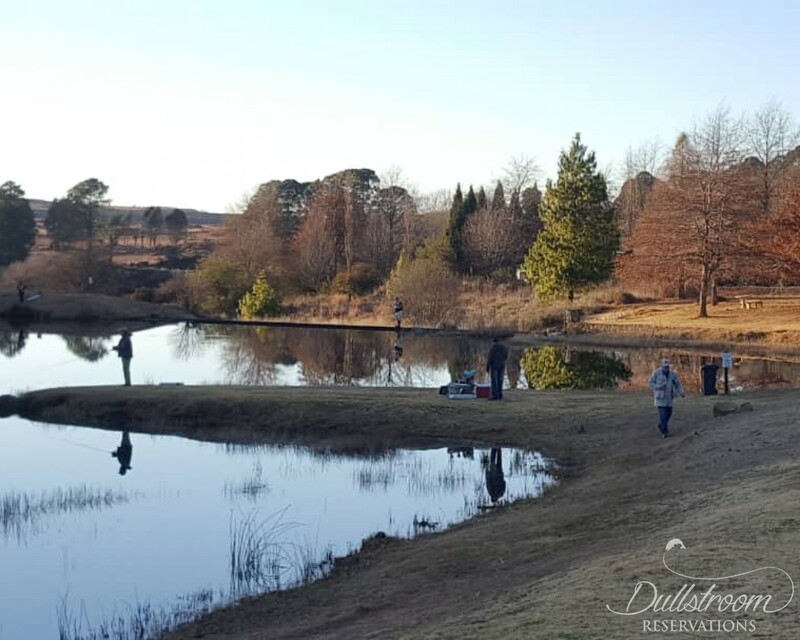 The lodge is serviced on a daily basis and 4 fishing permits are included in the accommodation rate. 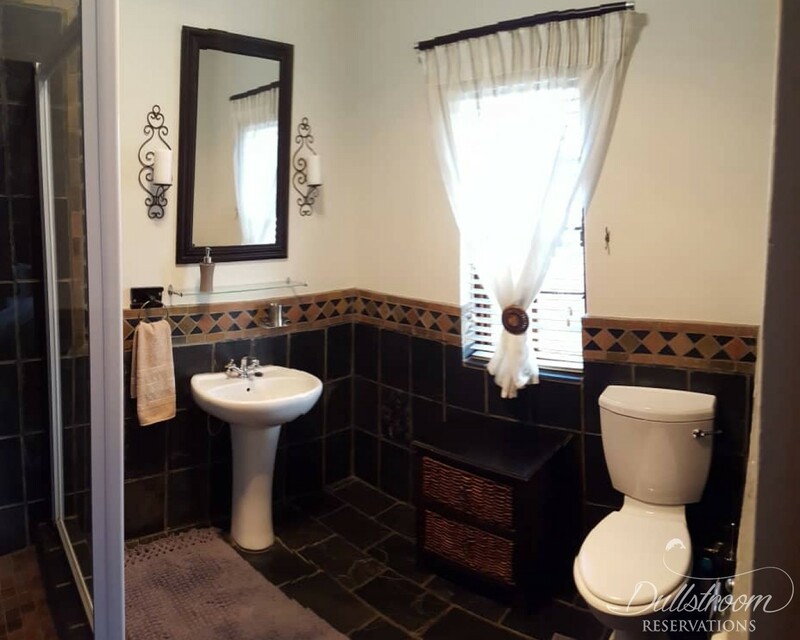 Sorry, no pets permitted.